Toddler Approved! 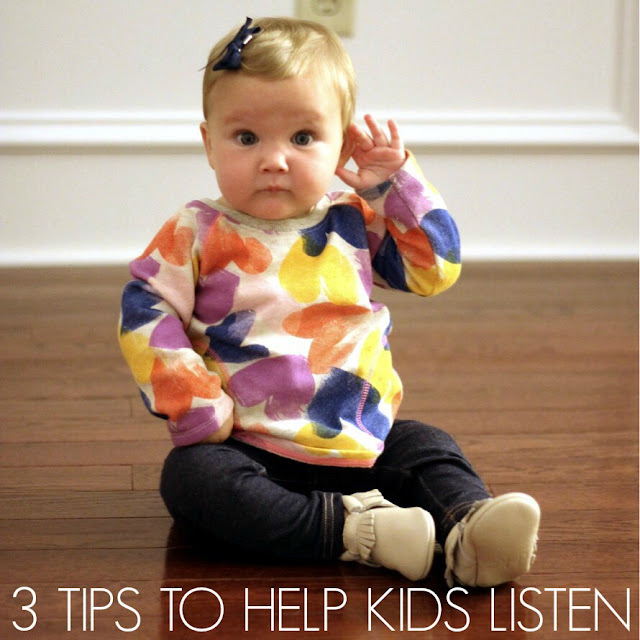 : 3 Strategies To Help Kids Listen! 3 Strategies To Help Kids Listen! Anyone else feel like a broken record lately? It might be the rain... or the cold weather... or the lack of sleep... but I constantly feeling annoyed lately and all I seem to do is repeat the same few things over and over again. "Get dressed, "Get your shoes on," "Hurry or we are going to be late," "Don't forget ___," "Make good choices," "Be kind," "Keep your hands to yourself," "Take turns..." and on and on. I almost just want to record myself on my phone saying all of these things and just play them back when the moment arises. The reality is that I am not currently being very effective as a parent. I know it... and I don't have the energy to do anything about it lately. I pull out threats that I swore I would NEVER use and I am inconsistent and unfair... and I pretty much don't want to hang out with myself, so I can understand why my kids don't want to hang out with me either. Living in a constant state of grumpiness filled with threats and ineffective strategies isn't productive. Fortunately my wise friend Amanda Morgan (of Not Just Cute) has a few suggestions/reminders that I just *NEEDED* to hear today. I love when people say things and they just ring true and I get a glimpse of hope... hope that I might be able to turn things around and change the dynamic at our family and make our home a place where kids want to be. 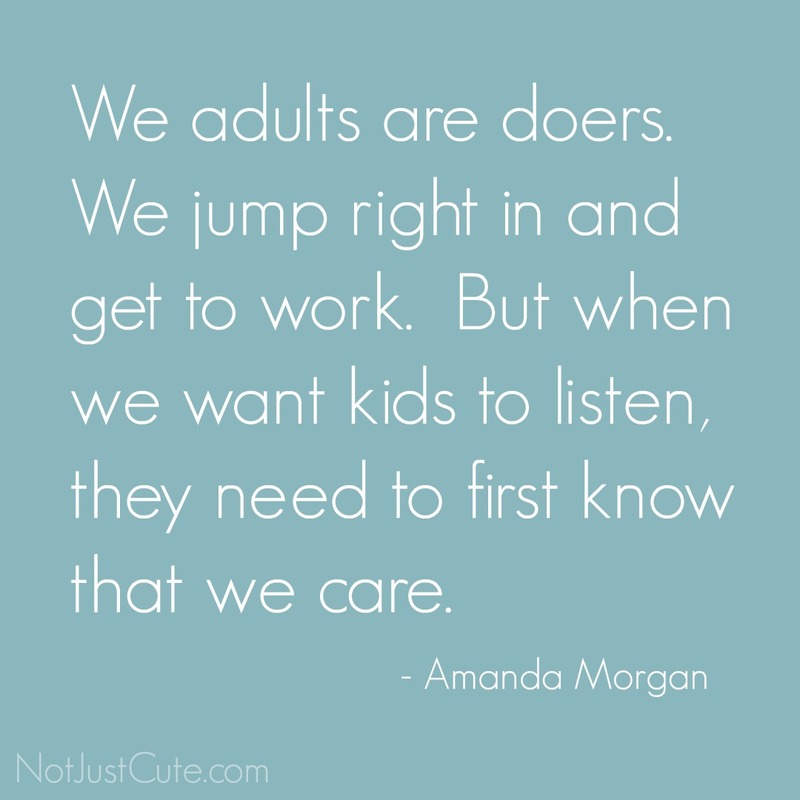 For more pearls of wisdom from Amanda, come check out here "Learn Why Traditional Time-Outs Don't Work, and How to Get Kids to Really Listen" webinar HERE. I asked Amanda about simple strategies we can use to help train our kids to listen better. Today she's going to share a few of them with us! I already can't wait to implement them. Scroll down for more details. Get in close proximity. Get down to their level. Make eye contact. Too often (myself included!) we get caught up in the busyness of life and we start calling out orders and requests over our shoulders or over the noise and our kids honestly have not heard what we've said. When we quiet the environment, get on their level, put a hand on their shoulder, and make eye contact, they're more likely to be in listening mode. In fact, studies have shown that young children actually listen better when we lower our voices, rather than raise them. This is most easily done when we slow down and get close. For children who are particularly struggling, I recommend having them repeat back to you what you've requested so that you both know the message was understood. Plus the verbal processing can help the child fully register what you've said. 2- Use the Right Words. This is a three-part tip in itself. First off, if you're giving directions, avoid making it sound optional. The pleasantries like "please" and "thank you" are still appropriate, but as adults, we sometimes preface requests with phrases like "do you want to" or "could you" when what we mean is "I need you to" or "you need to". Be gentle and polite, but also clear and firm. Second, we need to create the right picture. I call this, "Say What You Need to See." Instead of saying, "Don't run in the library," we say "Please use walking feet in the library." For young children in particular, the image we paint in their minds is most likely to be played out in their behavior, so use words that describe what you want, instead of what you don't want. Lastly, keep it simple. Break up requests into chunks. Older children may be able to process 3 requests at once, but for younger children (or children who simply struggle with multi-step requests) we need to give space so that they can focus on one task at a time. Words lack meaning when we lack action. When we state a boundary or make a request but then allow it to be ignored, we will continue to be ignored as well. We set a precedence for boundaries and requests to be challenged in the future too. It isn't really willful disobedience, it's our child's way of doing their "scientific research". As natural scientists, they need to have replicated results before they stop testing! They challenge until they meet consistency. 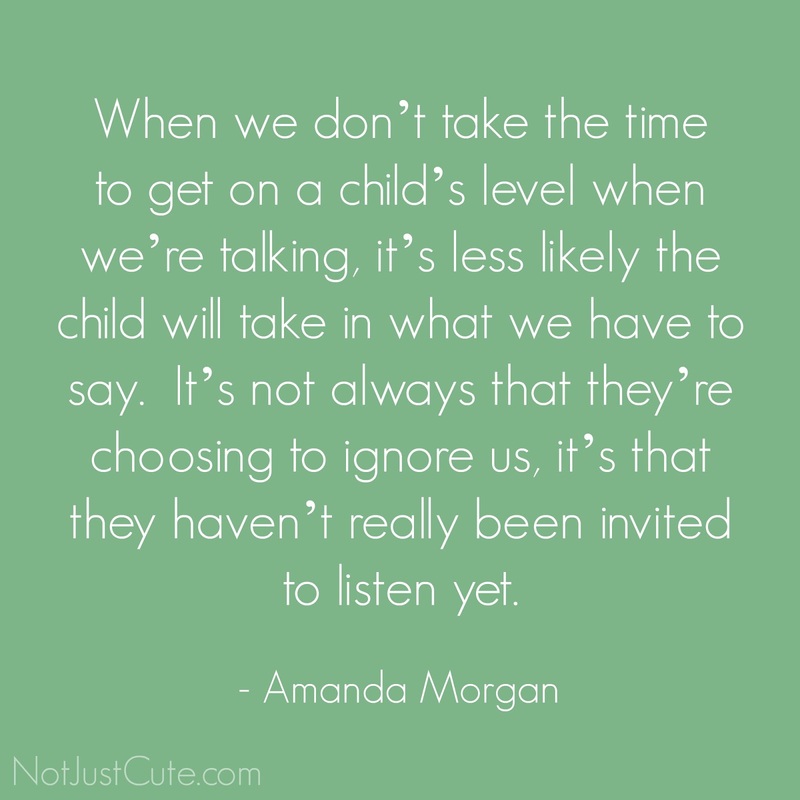 Particularly when we have children who are struggling with listening, we need to be sure that when we say, "You need to be in your chair, not on the counter," we actually help them back to the chair, or pause and watch as they do it themselves. (And then thank them for it!) Or when we say, "It's time to put the screen away," we help them follow through, rather than getting caught up in our own tasks as they play for another hour. Back to point #1, when we're asking our children to do something as we're rounding the corner to another room, and then find an hour later that they didn't do it, it's much harder for us to bring back that correction and consistency. So many great ideas Amanda! Did any of them ring true to you? Some of these I know... but just needed to hear them again. I have a big long list of things I want to start implementing today! 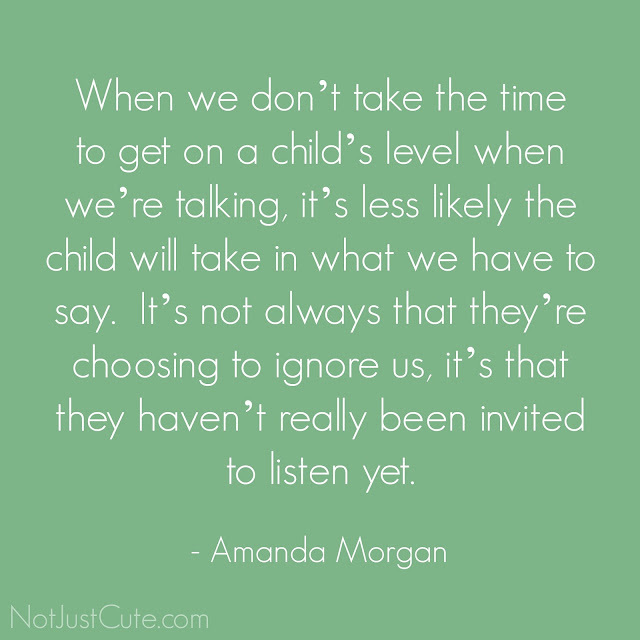 If you are looking for strategies to help your kids listen better, make sure you check out Amanda's "Learn Why Traditional Time-Outs Don't Work, and How to Get Kids to Really Listen" webinar HERE. 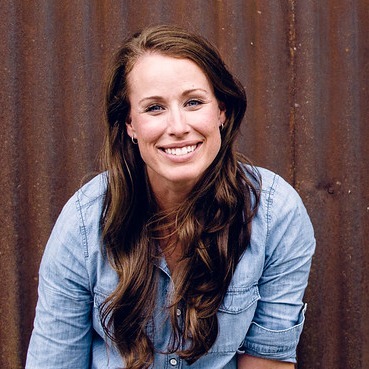 This is only Part 1 of a special guest post series from Amanda! We have several questions from Toddler Approved community members that she will be addressing over the next week or so. If you have a question about kids and listening, feel free to add it to the comments! Watch for some more great tips soon! Amanda Morgan holds a BA in both elementary and early childhood education and an MS in family and human development. Her past experience includes teaching in public, private, and migrant school settings as well as teaching preschoolers, grade-schoolers, college students, teachers, and parents. 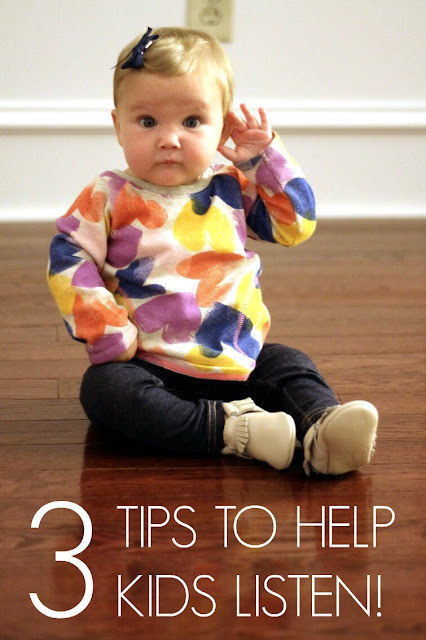 She writes, speaks, and consults on the topic of intentional, whole child development and is the creator of the blog, Not Just Cute.